The Chamber offers several advertising venues for marketing your business to members, residents and visitors to the community including our Membership Directory, Relocation Guide, Calendar of Events and the Chamber Ticker. For more information on the ways you can showcase your business, contact the Chamber. The Ticker is sent via email to the Chamber membership every week. Ads are accepted on a first-come, first-served basis. Every month the Chamber produces and distributes the Business Intelligence Report. Each edition is emailed to Chamber members, their employees, all newsletter sign-ups and several courtesy members (about 11,000 emails). Only Chamber members are invited to advertise in this publication. Business Intelligence Report Ad Option: includes a 250 x 250 pixel clickable ad for the HTML version, emailed to the members. The cost for each clickable ad space is $50 per issue. Decide early as specific months can fill up fast. For more information on this opportunity, contact the Chamber, 845-0324. There are two printings of the Calendar of Events. The first printing takes place in December or early January, and the second printing takes place in late April or early May. A total of 20,000 copies of the calendar are printed for distribution. The Calendar of Events is displayed at the Chamber office, downtown Visitors Center, the S.S. Badger ticket office, as well as at area businesses. The calendar is also mailed to all visitor inquiries. COE Ad Options: There is limited advertising space available. Ad space is on a first-come, first-served basis. Contact the Chamber for availability or to place your advertisement, 845-0324. We are pleased to announce that the Chamber’s Membership Directory/Relocation Guide has been a big hit, and we look forward to updating it and providing even more information in 2019-2020. This magazine includes everything necessary to move here, work here, or buy or start a business here – as well as find all the resources available in Mason County. It will also contain a cross-section of our almost 500 member businesses and organizations that understand the importance and necessity of supporting each other and the community. This is the 3rd edition of this great publication, and it has a great following. 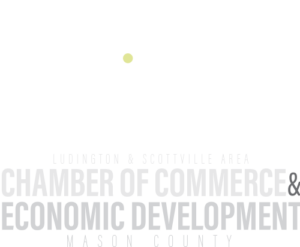 The Chamber participates with a number of exciting community events throughout the year. Become an event sponsor for any of the Chamber sponsored events for business exposure and to show your community support. Select an event to learn more and access event specific sponsorship information. 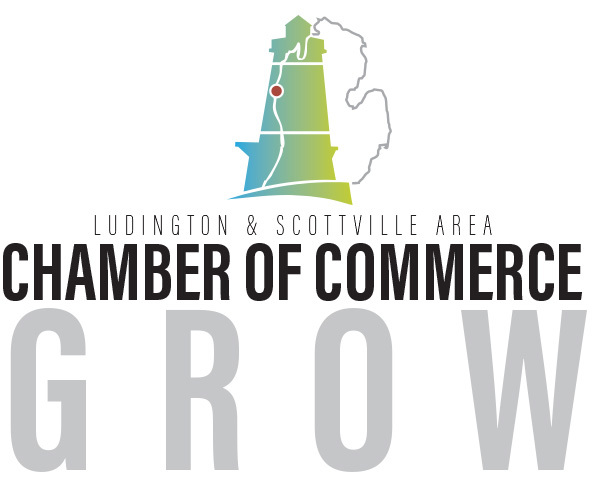 The Ludington & Scottville Chamber of Commerce office has an information center, which houses member resources for those inquiring about goods and services in the county. Members are encouraged to display their business brochures and flyers in the Chamber lobby free of charge. It’s a great way to keep staff and the community informed about your business. The Chamber partners with the Ludington Daily News to print and distribute special event supplements throughout the course of a year, such as the Ludington Offshore Classic booklet. Advertising opportunities are available for area businesses to be a part of these widely distributed, popular supplements. Watch your monthly newsletter for these opportunities.